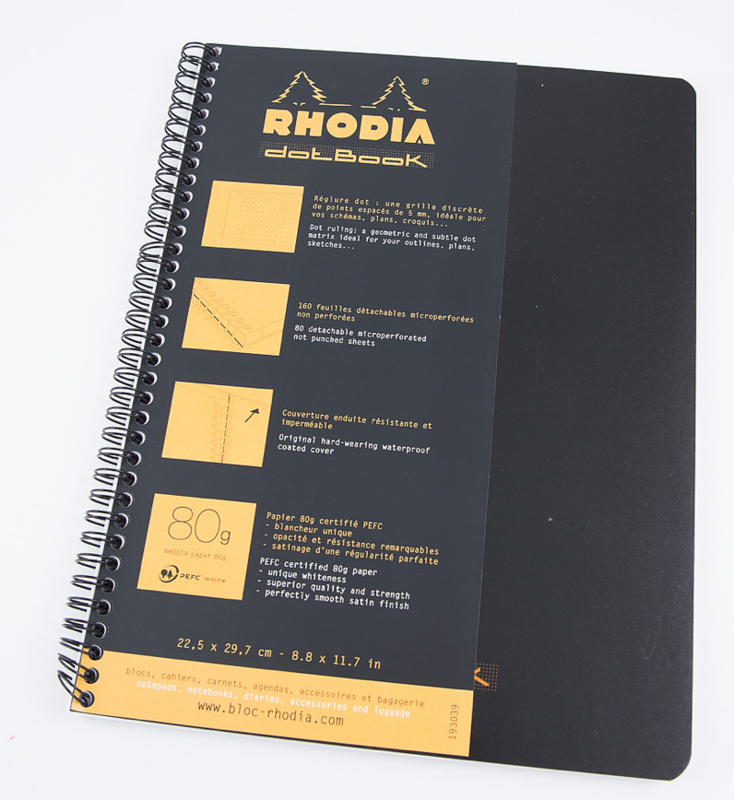 The Rhodia Spiral Bound Large Notebook is double wire bound (meaning no snags!) on the left, filled with 160 pages of exquisite 80 gram extra white paper that has a smooth satin finish. 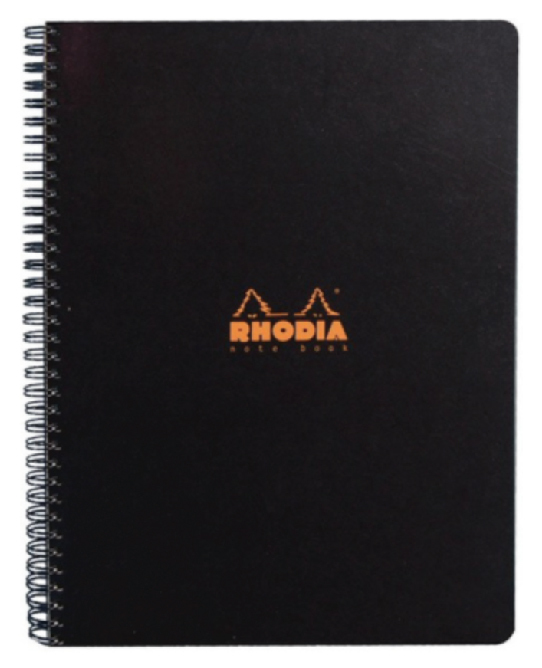 Includes lined paper with a margin on all four sides and a 2-line header frame at the top. 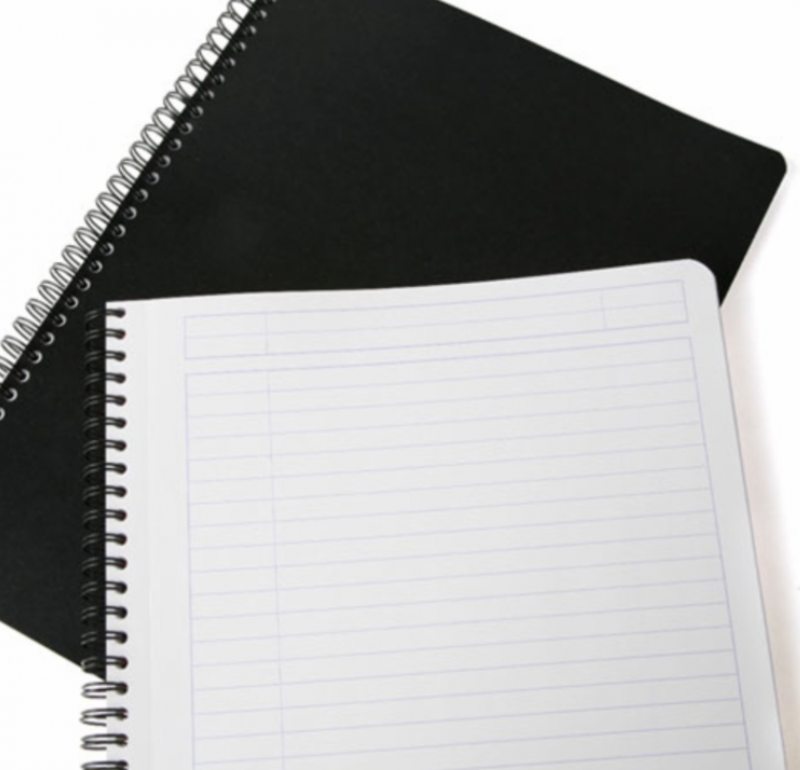 The cover is a sturdy waterproof coated paper cover, available in black. These books have 80 sheets / 160 pages.